The evocative ruins of Talley Abbey are located in wonderful Welsh countryside between Llandeilo and Lampeter. The abbey was founded around 1184 by Rhys ap Gruffudd as a relatively rare Premonstratensian house. 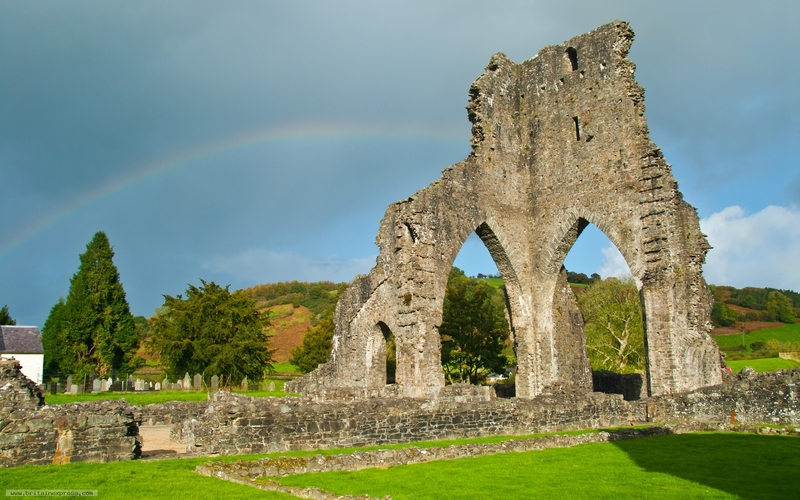 It really is a lovely location, and on the occasion of our visit a sudden shower was followed by a rainbow which hovered over the abbey ruins.